After the captain of a Royal Caribbean ship warned passengers about rising crime rates in Nassau, a government official is lashing out about having been “blindsided” and denying the allegations. In a letter to Nassau-bound passengers, Anthem of the Seas Captain Srecko Ban advised those going ashore to avoid certain parts of Nassau in which various petty crimes had occurred in the past. Informed of the letter, Minister of Tourism Dionisio D’Aguilar denied the captain’s charges and speculated as to ways the Bahamas could deal with negative perceptions. THE ENTRANCE INTO NASSAU, BAHAMAS. D’Aguilar went on to say that in their many talks with cruise industry officials, including reps from Royal Caribbean, none of the concerns raised in the letter had ever been brought up for discussion. He suggested that one way to help reverse the tide of negative publicity about the area was to reach out directly to cruise ship employees — who have direct interactions with passengers — as opposed to corporate executives. “I don’t know of any major or significant crime happening to a cruise passenger in quite some time,” D’Aguilar told the paper. “I don’t know about petty crime, but in my humble opinion, Nassau is as safe as any other city, and the cruise companies are putting out this generic warning… as cover in the odd chance it does happen.” He concluded by suggesting that an increased police presence might help visitors and locals to feel safer, and that media coverage of violent crimes which take place away from the center of tourism also help contribute to the sense that the Bahamas is more dangerous than it actually is. 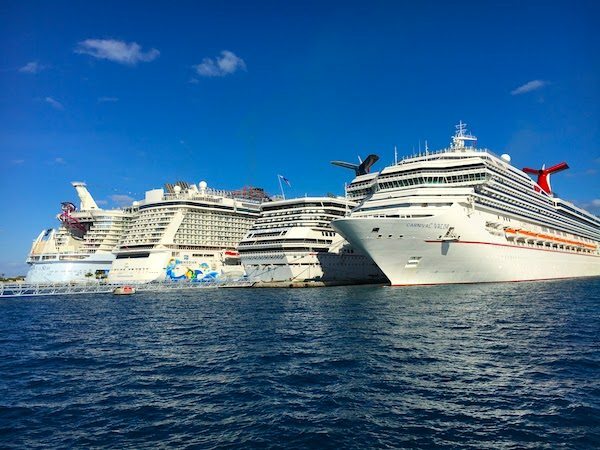 Of course, all of this is playing out even as three different organizations have placed bids with the government, each hoping to be awarded a contract to rejuvenate the port and downtown Nassau area. One of the groups which placed a bid includes, as part of its mix, a consortium of cruise companies.